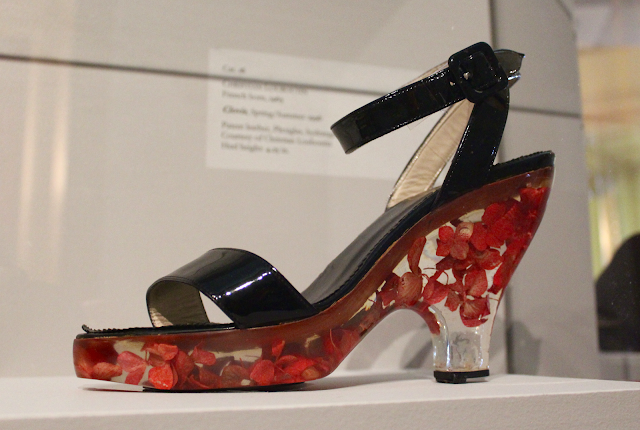 Last Friday I had the opportunity to attend a preview of the new Killer Heels exhibit at The Frick Museum here in Pittsburgh. 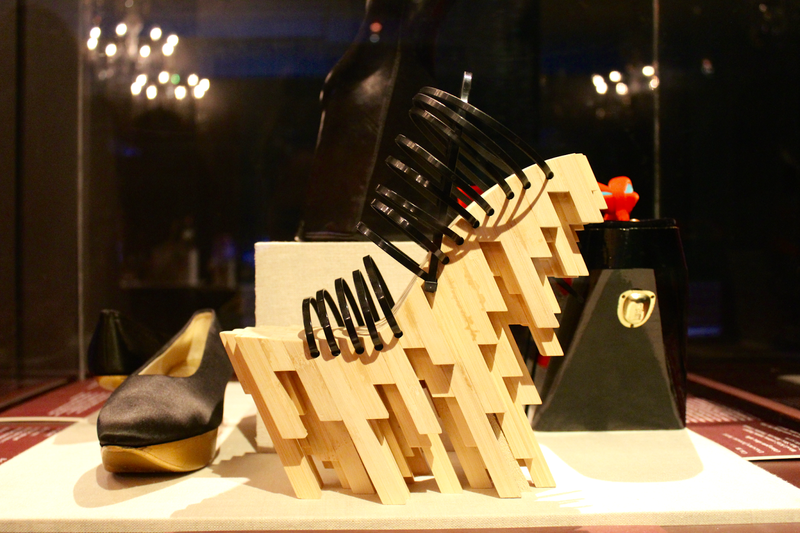 This traveling exhibit showcases the art of high heeled shoes and features designers such as Chanel, Christian Louboutin, Balenciaga, Manolo Blahnik, and many, many more. 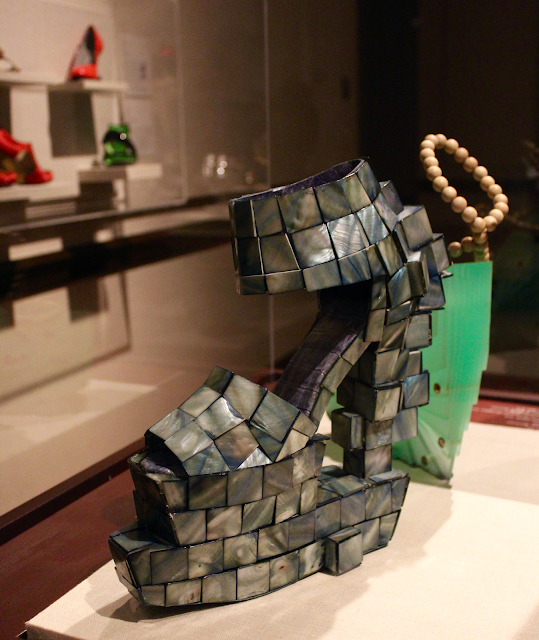 I wouldn't say I'm exactly a heels person (I love my flats dearly), but the heels in this show are works of art rather than functional footwear.The exhibit features 147 different shoes from around the world, from year 1600 to present day, and each shoe more unique and interesting than the last. 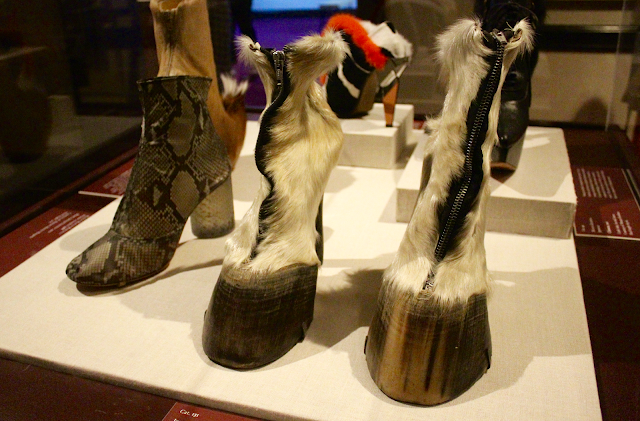 The exhibit is divided into six different sections: Revival and Reinterpretation, Rising in the East, Glamour and Fetish, Architecture, Metamorphosis, Spacewalk, and Not Your Everyday Footwear. 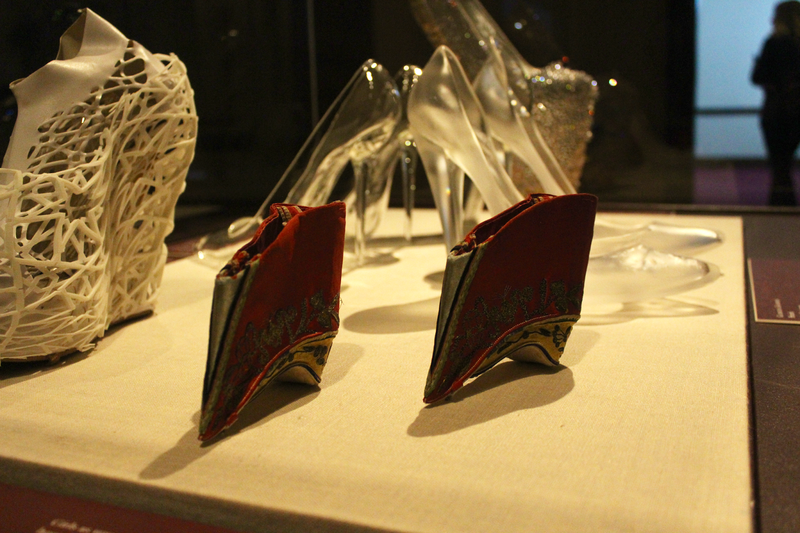 The different sections also feature short films to accompany the shoes from that theme. 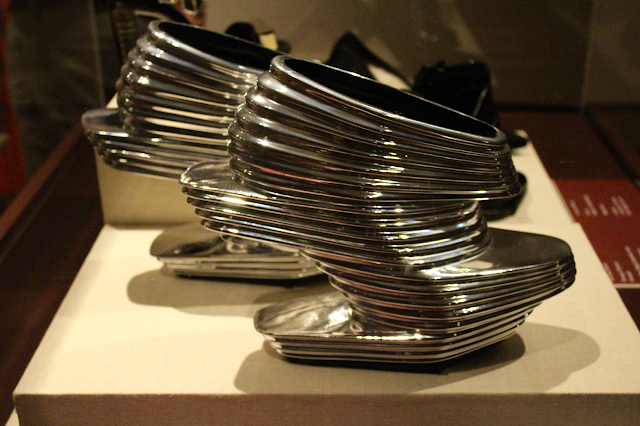 With nearly 150 shoes to choose from, it was really hard to pick favorites. 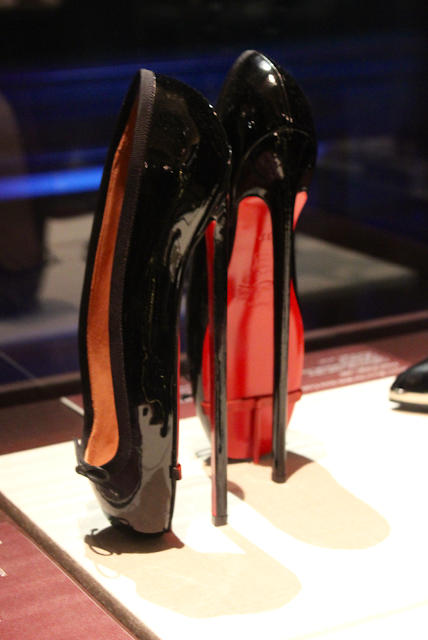 The first shoe that comes to mind is the Christian Louboutin ballet slipper (pictured below.) 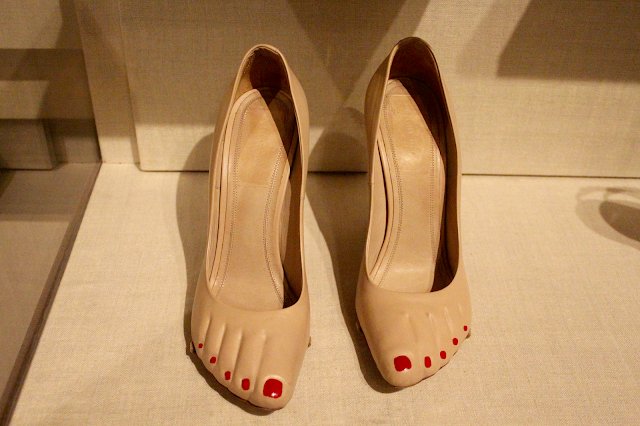 It's the one shoe in the exhibit that I know I've seen photos of before and wasn't even sure it was real. 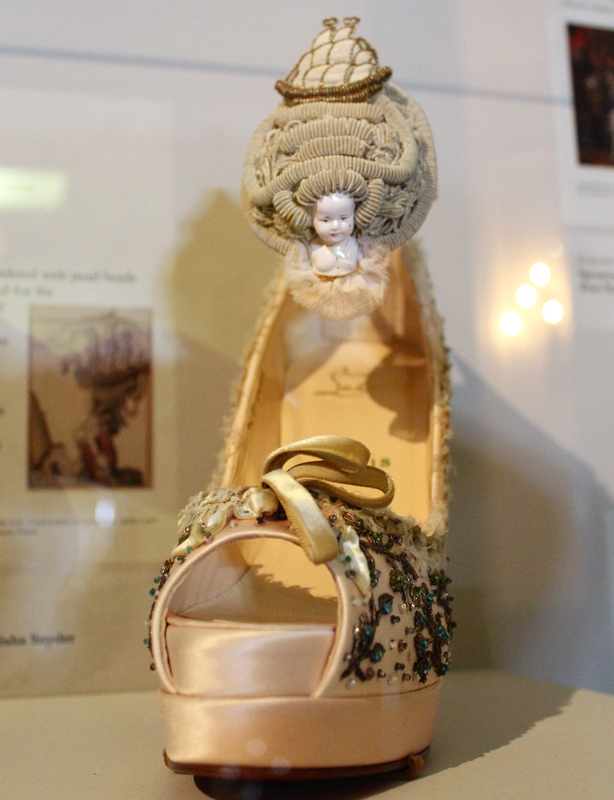 Seeing it in person was an exciting experience - it's a shoe only a well-trained ballerina could wear. Other favorites were all of the crazy and colorful platforms, the Marie Antoinette Louboutins, and the zip-tie bamboo heels (all pictured below.) 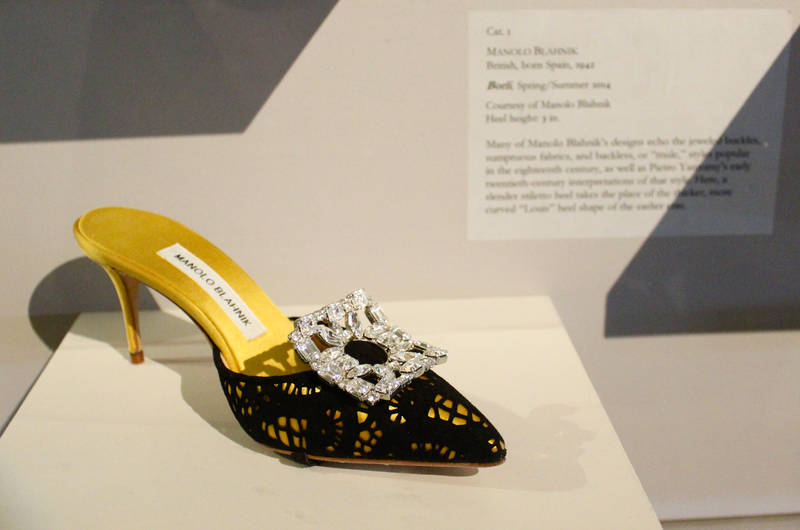 You can see more (high-res) images of the shoes in the collection on The Frick's website, or by visiting the exhibit yourself! 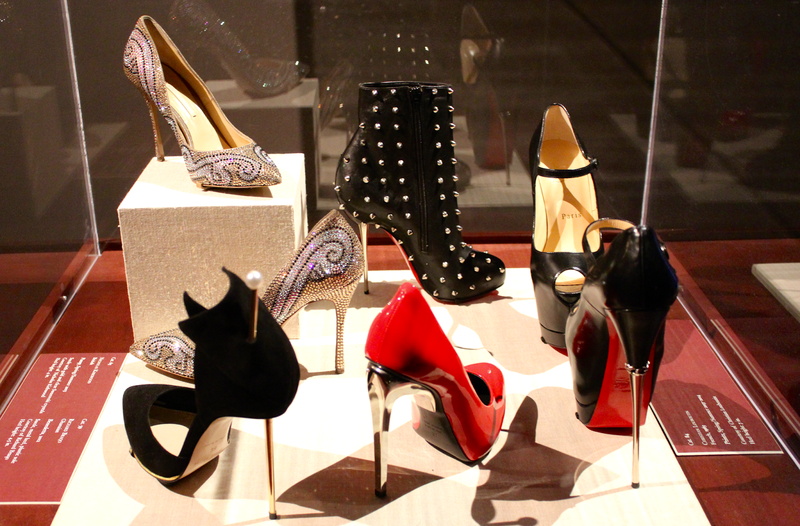 Pittsburgh is the last stop on the Killer Heels nationwide tour, so you have until September 4th to see it! 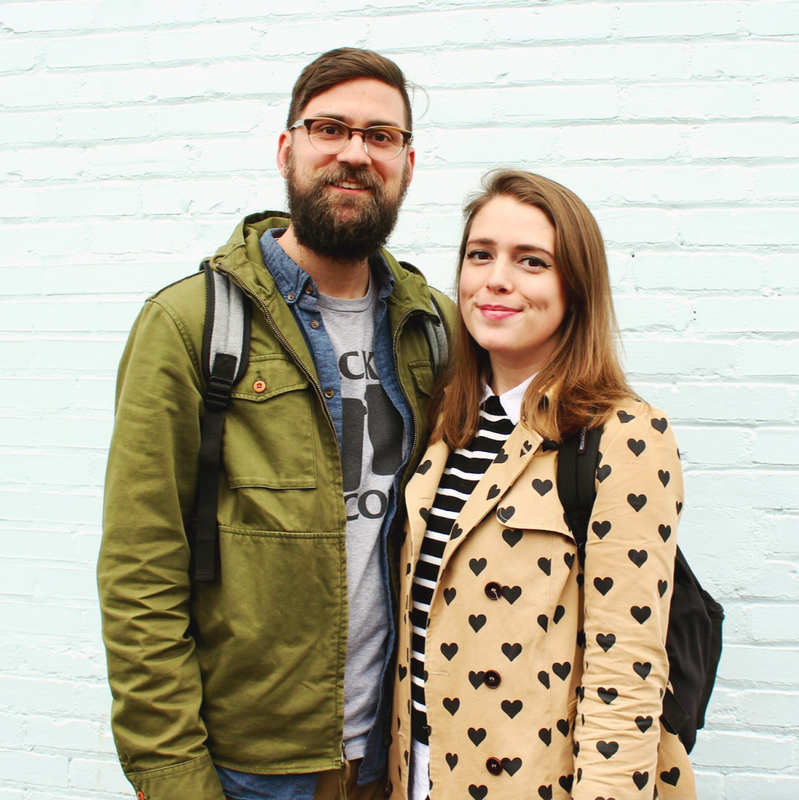 Exhibition admission is only $12, and well worth the money. 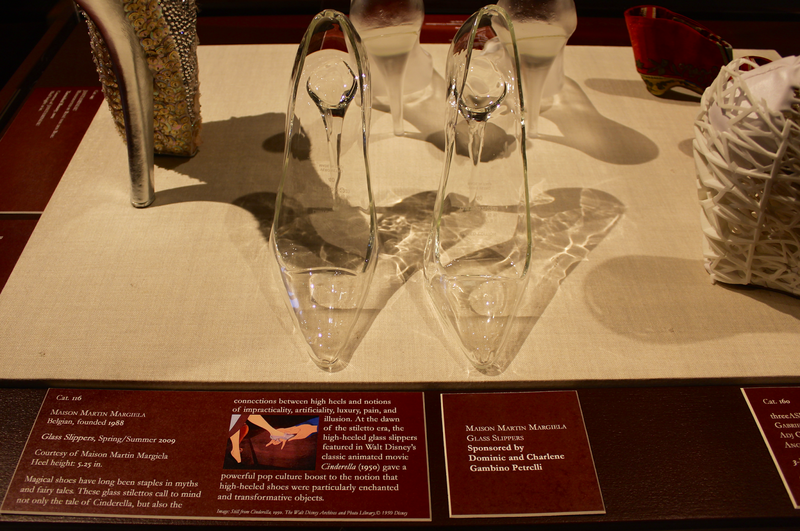 I highly recommend attending a docent tour (Wednesdays, Saturdays, and Sundays at 2 PM.) 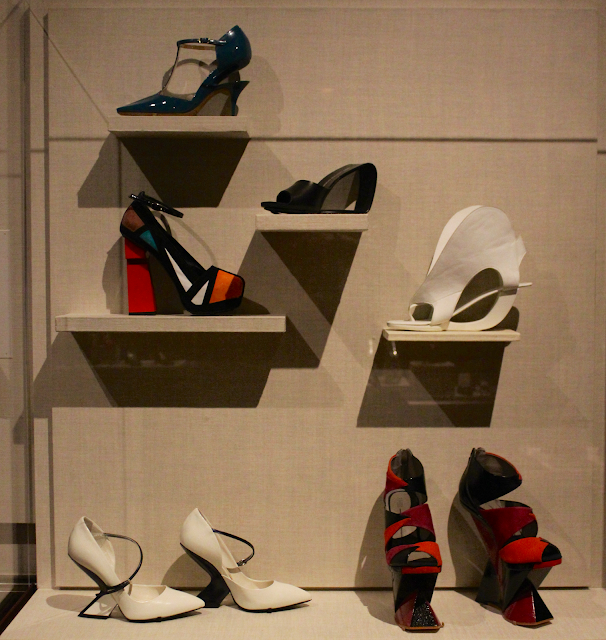 Walking through the exhibit with the curator was so informational and fascinating - you'll definitely want the opportunity to ask questions and learn more about each unique shoe! 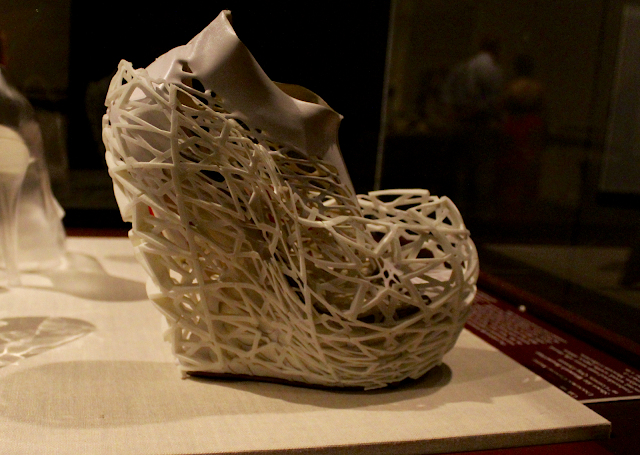 Thank you to The Frick Pittsburgh for inviting me to attend this preview! 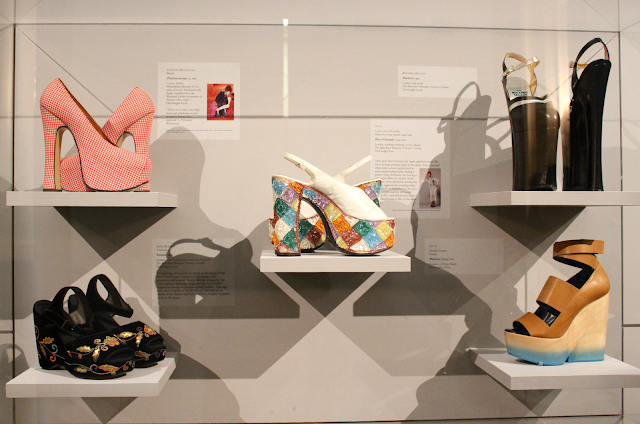 If you visit, be sure to leave us a comment letting us know which shoe was your favorite and hashtag your photos with #KillerHeelsFrick!